Cereal is the name given to those seeds used as food (wheat, rye, oats, barley, corn, rice, etc. ), which are produced by plants belonging to the vast order known as the grass family. They are used for food both in the unground state and in various forms of mill products. The grains are pre-eminently nutritious, and when well prepared, easily digested foods. In composition they are all similar, but variations in their constituent elements and the relative amounts of these various elements, give them different degrees of alimentary value. They each contain one or more of the nitrogenous elements, gluten, albumen, caseine, and fibrin, together with starch, dextrine, sugar, and fatty matter, and also mineral elements and woody matter, or cellulose. 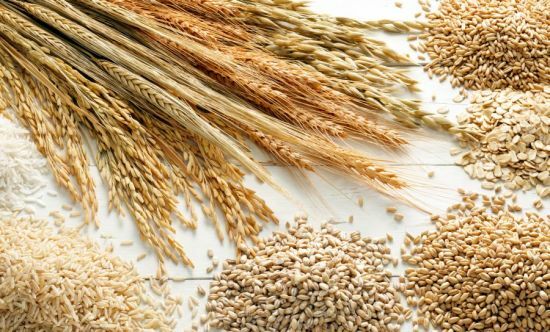 The combined nutritive value of the grain foods is nearly three times that of beef, mutton, or poultry. As regards the proportion of the food elements necessary to meet the various requirements of the system, grains approach more nearly the proper standard than most other foods; indeed, wheat contains exactly the correct proportion of the food elements. Being thus in themselves so nearly perfect foods, and when properly prepared, exceedingly palatable and easy of digestion, it is a matter of surprise that they are not more generally used; yet scarcely one family in fifty makes any use of the grains, save in the form of flour, or an occasional dish of rice or oatmeal. This use of grains is far too meager to adequately represent their value as an article of diet. Variety in the use of grains is as necessary as in the use of other food material, and the numerous grain preparations now to be found in market render it quite possible to make this class of foods a staple article of diet, if so desired, without their becoming at all monotonous. In olden times the grains were largely depended upon as a staple food, and it is a fact well authenticated by history that the highest condition of man has always been associated with wheat-consuming nations. The ancient Spartans, whose powers of endurance are proverbial, were fed on a grain diet, and the Roman soldiers who under Caesar conquered the world, carried each a bag of parched grain in his pocket as his daily ration. Other nationalities at the present time make extensive use of the various grains. Rice used in connection with some of the leguminous seeds, forms the staple article of diet for a large proportion of the human race. Rice, unlike the other grain foods, is deficient in the nitrogenous elements, and for this reason its use needs to be supplemented by other articles containing an excess of the nitrogenous material. It is for this reason, doubtless, that the Chinese eat peas and beans in connection with rice. We frequently meet people who say they cannot use the grains, that they do not agree with them. With all deference to the opinion of such people, it may be stated that the difficulty often lies in the fact that the grain was either not properly cooked, not properly eaten, or not properly accompanied. A grain, simply because it is a grain, is by no means warranted to faithfully fulfil its mission unless properly treated. Like many another good thing excellent in itself, if found in bad company, it is prone to create mischief, and in many cases the root of the whole difficulty may be found in the excessive amount of sugar used with the grain. Sugar is not needed with grains to increase their alimentary value. The starch which constitutes a large proportion of their food elements must itself be converted into sugar by the digestive processes before assimilation, hence the addition of cane sugar only increases the burden of the digestive organs, for the pleasure of the palate. The Asiatics, who subsist largely upon rice, use no sugar upon it, and why should it be considered requisite for the enjoyment of wheat, rye, oatmeal, barley, and other grains, any more than it is for our enjoyment of bread or other articles made from these same grains? Undoubtedly the use of grains would become more universal if they were served with less or no sugar. The continued use of sugar upon grains has a tendency to cloy the appetite, just as the constant use of cake or sweetened bread in the place of ordinary bread would do. Plenty of nice, sweet cream or fruit juice, is a sufficient dressing, and there are few persons who after a short trial would not come to enjoy the grains without sugar, and would then as soon think of dispensing with a meal altogether as to dispense with the grains. Even when served without sugar, the grains may not prove altogether healthful unless they are properly eaten. Because they are made soft by the process of cooking and on this account do not require masticating to break them up, the first process of digestion or insalivation is usually overlooked. But it must be remembered that grains are largely composed of starch, and that starch must be mixed with the saliva, or it will remain undigested in the stomach, since the gastric juice only digests the nitrogenous elements. For this reason it is desirable to eat the grains in connection with some hard food. Whole-wheat wafers, nicely toasted to make them crisp and tender, toasted rolls, and unfermented zwieback, are excellent for this purpose. Break two or three wafers into rather small pieces over each individual dish before pouring on the cream. In this way, a morsel of the hard food may be taken with each spoonful of the grains. The combination of foods thus secured, is most pleasing. This is a specially advantageous method of serving grains for children, who are so liable to swallow their food without proper mastication.